Owner and chairman of the board of Domodedovo Airport, Dmitriy Kamenschik, was detained in Moscow, Russian Investigative Committee announced in a statement on Febaruary 18. The investigators believe that his actions led to the terrorist attack at the airport in 2011. The Russian Investigative Committee accuses Kamenschik of implementing a new security system at the airport. The new system, which proved inefficient, enabled a suicide bomber to enter the airport and activate a self-made explosive device that killed 37 and injured 170 people. The court hearing on February 19 changed Kamenschik’s restriction for a month-long home detention. Besides Domodedovo’s owner, three other former airport executives are targeted by the investigation: airport complex director Vyacheslav Nekrasov, head of Russian representative office of the Airport Management Company Svetlana Trishina and general manager of Domodedovo Airport Aviation Security Andrey Danolov. All three have been placed under arrest. 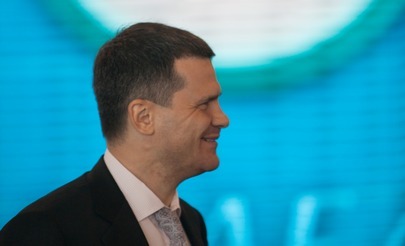 The expert community has expressed the opinion that persecution of Domodedovo’s senior executives, which coincides with ongoing privatization processes at Sheremetyevo and Vnukovo, is associated with the government’s longstanding wish to integrate all three of Moscow’s airports.